Glucagon is a key metabolic hormone, whose role is schematically opposite to that of insulin. A healthy pancreas secretes both insulin and glucagon to keep blood glucose within a tight physiological range; while chronic hyperglycemia may result in long-term complications (as is seen in diabetes), hypoglycaemia, if severe, may result in loss of consciousness, coma, and in the most severe cases, death. In a healthy subject, when blood glucose is too low, glucagon is secreted to get it back in the normal range. In the therapeutic domain, recombinant human glucagon (rhG) is approved for the treatment of severe hypoglycaemia, that may result from the use of anti-diabetic agents (including insulin). Unfortunately, as rhG is very unstable in aqueous solution, the only products commercially available today are emergency kits composed of lyophilized rhG to be reconstituted just before injection, following several steps. 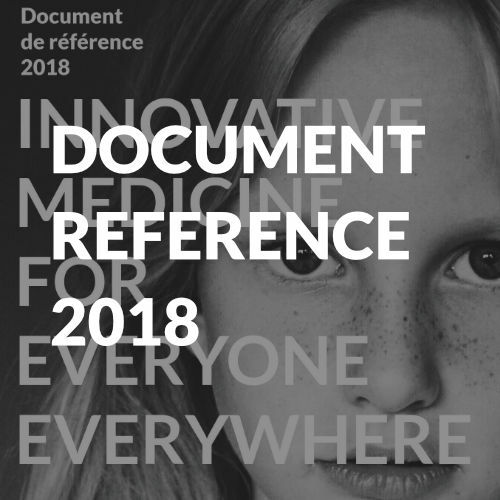 Recent usability studies showed that in more than 80% of cases, people failed to properly reconstitute and inject the recommended dose (Locemia, 2015). Using the BioChaperone® technology, Adocia aims to develop a stable aqueous solution of recombinant human glucagon. – Use in a dual hormone artificial pancreas: A dual hormone artificial pancreas would aim to imitate a normal pancreas by combining in a dual-chamber pump both insulin and glucagon. The hormone administration would be controlled by an automated algorithm informed by continuous glucose monitoring of the patient, with no manual input from the patient. 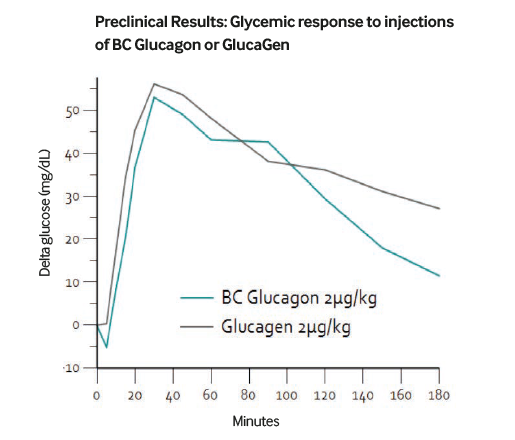 An improvement over the so-called “closed-loop insulin pump”, the addition of glucagon may limit the risk of hypoglycaemia both at night and during the day, potentially allowing the patient more freedom in her day-to-day schedule (e.g. exercising, unplanned changes in schedule etc.). Prototypes of such devices are currently under development and a soluble and stable glucagon is expected to actually reach patients. – Treatment of congenital hyperinsulinism: a pumpable glucagon solution may be used to treat this orphan disease that affects 1:50,000 children, with only a very limited range of potential treatments to date. – Treatment of chronic hypoglycaemia resulting from post-bariatric surgery: a pumpable glucagon solution may also benefit the small number of patients (0.2%) who suffer from chronic hypoglycaemia following bariatric surgery, which has a severe impact on patients’ lives. 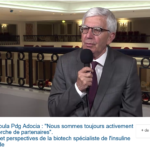 In June 2016, Adocia announced first preclinical results for BioChaperone Human Glucagon, an aqueous solution of recombinant human glucagon at neutral pH. Recombinant human glucagon is to date the only molecule approved by both EMA and FDA to treat severe hypoglycaemia. A formulation based on this protein may benefit from a shorter clinical development plan. Promising preclinical results obtained in pigs show that the pharmacodynamic profile of BioChaperone Human Glucagon was similar to those observed with commercial rhG (Glucagen®, Novo Nordisk, reconstituted ex temporane before injection). Based on these results and ongoing experiments, Adocia intends to launch a first-in-man study in 2017. In June 2017, Adocia Launches First-in-Man Clinical Study of BioChaperone® Glucagon. BioChaperone Glucagon, a ready-to-use stable aqueous formulation of human glucagon, could be used as a rescue treatment for severe hypoglycemia and in a dual hormone artificial pancreas. The study will document the safety and tolerability of BioChaperone Glucagon as well as its pharmacodynamic and pharmacokinetic profiles in people with type 1 diabetes. Results are expected in Q4 2017.